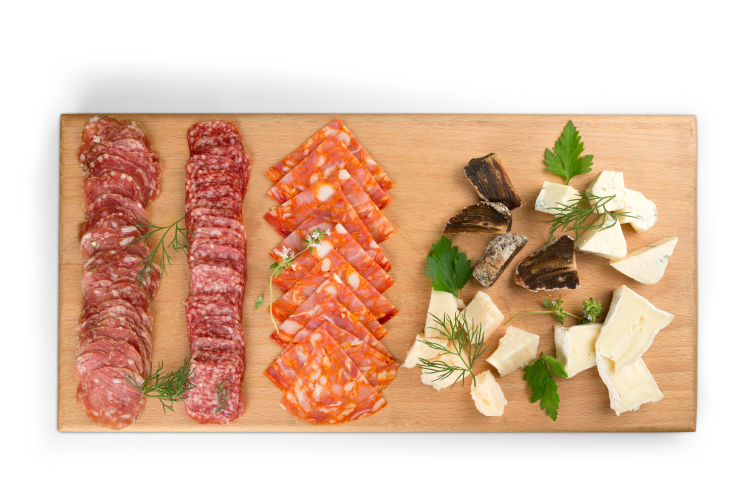 Award Winning Cheeses, Award Winning Charcuterie, Fresh Artisan Breads and Cakes daily plus much, much more … A veritable cornucopia of treats! 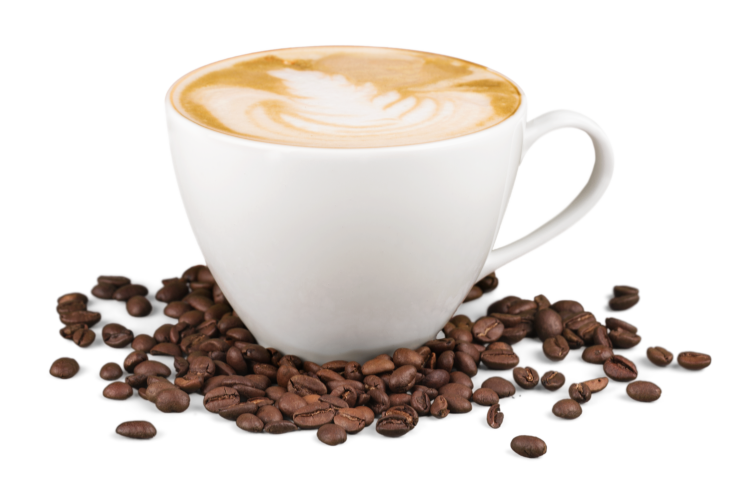 We are passionate about our locally roasted “Fairer than Fair Trade” Organic Coffee made with Organic Milk from Kentish Dairies. We even clean the coffee machine with Organic cleaner! We serve the purest Birchalls Herbal Teas. Our devine Rococco Hot Chocolate is Organic. Healthy and luscious our Love Smoothies are dairy-free and our beautiful creamy milkshakes are made with real dairy ice cream. Drink in or Take Away. We stock beautiful Jams and Caterham Gold Award Winning Honey, as well as our tasty Pates, Rillettes, Olives and Antipasti. Not forgetting our Speciality Breads, Cakes, some homemade and Morning goods delivered fresh daily! Our enticing menu is Chef devised by Chef and co-owner Mark. Try one of our freshly made to order delectable Paninis, superb Sourdough Sandwiches and scintillating Salads with an exciting and very different range of fillings. Drool over our WOWSER stacks of light and fluffy American style Buttermilk Pancakes or temptingly delicious Belgian style Waffles. Food made bespoke, to eat in or Take Away. We also offer Gluten Free, Vegetarian, Pescetarian and Vegan options. 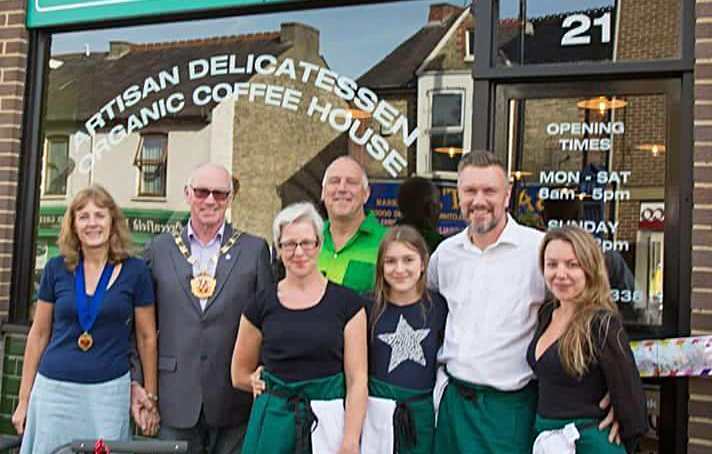 East Side is an indepenent family run Artisan Delicatessen and Organic Coffee House on Caterham on the Hill. We celebrate quality British produce…Helping to support local Farmers, Dairies, Bakers, Chocolatiers Growers, Makers and Suppliers. Our suppliers are chosen not only for their ethical approach, but because of the quality of the food they produce. We take great care to reduce food miles and use recyclable packaging where possible. We are proud that all of our waste goes to 100% renewable energy sources. © East Side Deli Ltd.